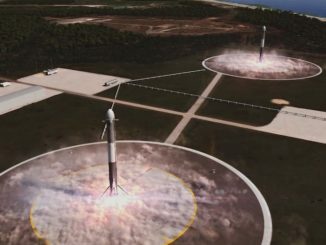 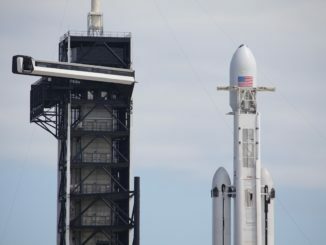 SpaceX’s second Falcon Heavy rocket is set for liftoff Thursday from NASA’s Kennedy Space Center in Florida, and the heavy-lift launcher will head on an easterly course over the Atlantic Ocean atop more than 5 million pounds of thrust. 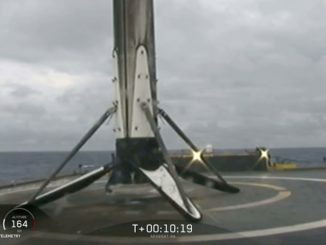 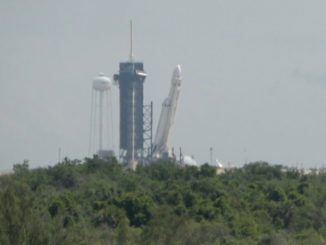 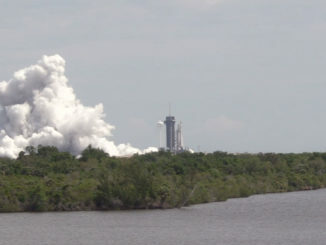 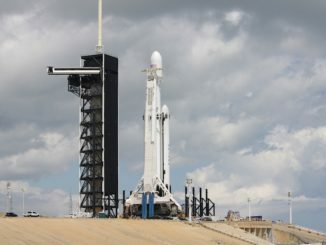 SpaceX’s second Falcon Heavy, outfitted to produce more thrust than the heavy-lifter’s debut flight last year, was raised vertical at launch pad 39A in Florida on Wednesday ahead of a launch attempt with the Arabsat 6A communications satellite. 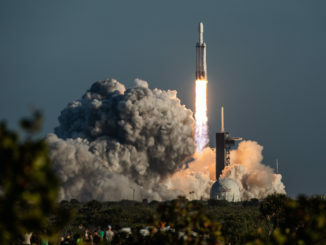 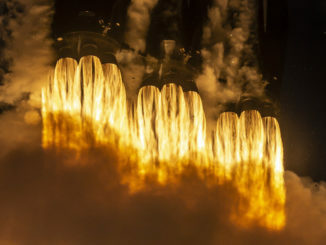 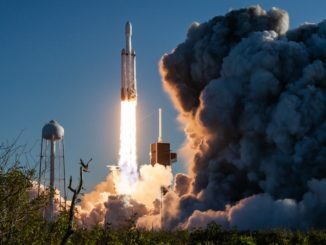 SpaceX’s second Falcon Heavy rocket lifted off Thursday with the Arabsat 6A communications satellite. 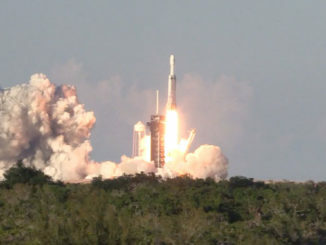 The world’s most powerful operational launcher lifted off from pad 39A at NASA’s Kennedy Space Center in Florida at 6:35 p.m. EDT (2235 GMT), and its three first stage boosters landed less than 10 minutes later — two back at Cape Canaveral and one on a drone ship at sea.